Audience Intelligence - Which UK Marketing Websites Are Most Popular In Europe? Whilst the UK's future role within Europe may be a little unsure right now there is no doubt that when it comes to the marketing industry we still lead the field in the region. We're also home to some of the worlds finest marketing trade websites and so, as we plan to make EntSight known to wider world we're keen to understand how these resonate on the continent, where many of our existing and prospective customers in the luxury and fashion space are headquartered. Using available social data from the past year and a half (in this case sourced using Brandwatch) we were able to track both mentions and links to online articles from the four leading websites and publications - namely The Drum, Econsultancy, Marketing Week and Campaign - to find out where they most resonated and with which particular audiences. From grouping together all of the audience data relating to these publications from Western Europe we immediately identified that the two most discussed and shared were The Drum and Econsultancy, with both seeing quite sizeable audience shares. 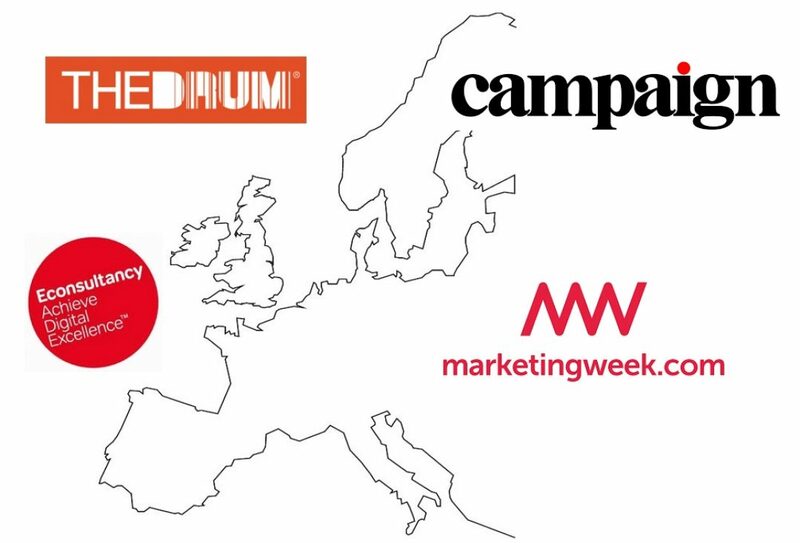 Looking at the geo-data for both also confirms that they are actively engaging with audience across most of the major European markets - although it is clear that The Drum sees a much larger share of conversation from the Netherlands than Econsultancy - an attribute it shares with both Campaign and Marketing Week. Due to the focus of these websites and publications it doesn't come as a surprise that their audience on the continent is made up of Sales, Marketing & PR roles. However, like any marketing services company we're also interested to find out which of them is most talked about by decision makers in brands and organiaations, represented here by 'Executives'. 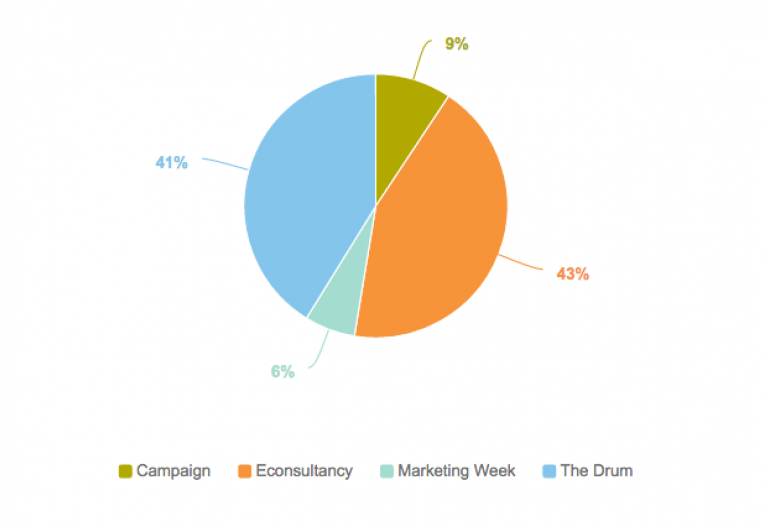 Once again Econsultancy and The Drum are the clear winners here, seeing a higher % share - whilst Campaign's content appears to be talked about and shared more by Journalists and Marketing Week sees the most interest from Students. Staying on the subject of job roles our next step was to look at the topics most favoured by our two key audience groups - Sales/Marketing/PR & Executives. The same chart format, but this time looking specifically at the Econsultancy audience, shows a strong interest within the Executive group for content about innovation in Fashion, largely as a result of this article on the concept of 'virtual fitting rooms'. Meanwhile the Sales/Marketing/PR group show an interest in more general marketing topics such as E-Commerce, Digital Marketing and Customer Journeys. In conclusion, it is clear that there is plenty to learn from audiences social data about the preferences and behaviours of our marketing cousins over on the continent - and as Brexit approaches we'll need to ensure more than ever that we can continue to understand and relate to them.